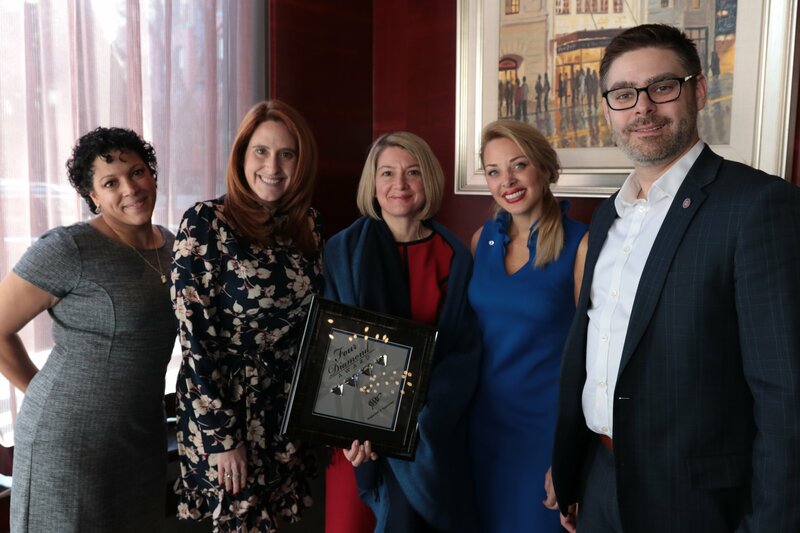 Gracie’s staff, including Anat Sagi and Kendal Fitzsimmons with proprietor Ellen Slattery, and AAA Northeast’s Diana Imondi, and Alan Freudeman of Gracie’s. The 2019 AAA Diamond Awards list is out, and there are many local restaurants and hotels that earned top marks in hospitality. 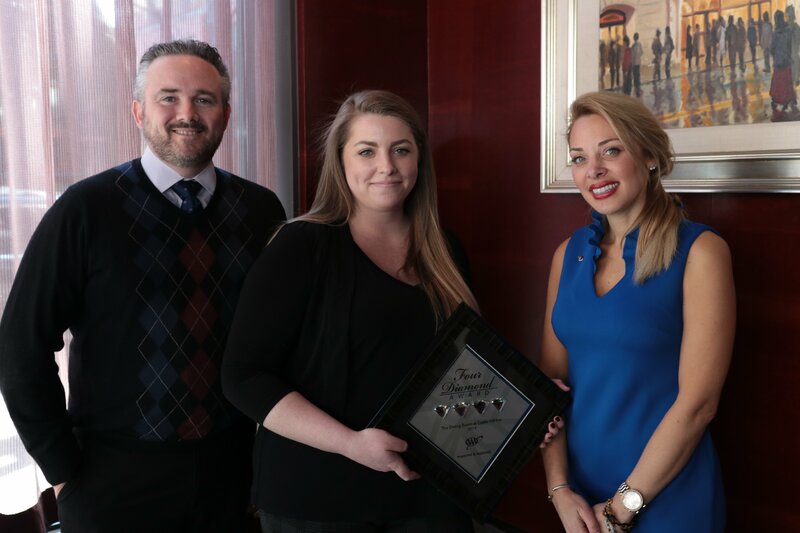 This year, five restaurants and thirteen hotels in Rhode Island were honored at a March 27 AAA Diamond Awards luncheon held at Hotel Providence, with one restaurant – COAST in the Ocean House in Watch Hill – receiving the prestigious Five Diamond recognition for the first time. The Ocean House Hotel also received Five Diamond recognition. “The Five and Four Diamond ratings are impressive accomplishments that recognize the finest in dining in the United States, Canada, Mexico and the Caribbean,” says Lloyd Albert, AAA Northeast Senior Vice President of Public and Government Affairs in a statement. The AAA Diamond Award winners are determined by AAA’s experienced and independent inspectors that annually visit and approve more than 32,000 restaurants and 27,000 hotels across North America. Only sixty-seven restaurants receive AAA’s highest rating of Five Diamonds, while just another 656 properties receive the Four Diamond award. Meanwhile, only 121 hotels receive a Five Diamond rating, while just another 1,722 properties earn the Four Diamond award. 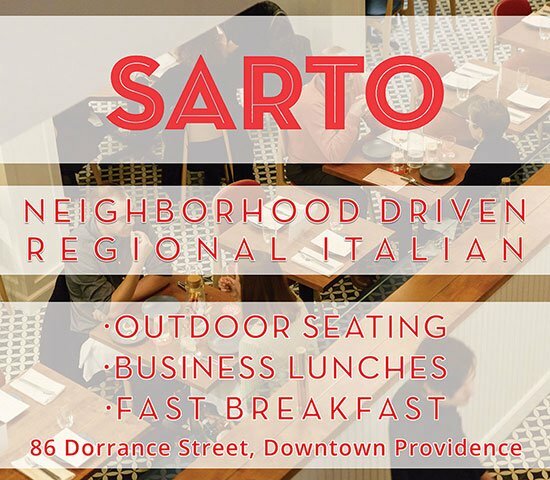 We are proud that so many of of Rhode Island’s terrific hotels and restaurants earned top marks. Vanderbilt Grill – Newport The Dining Room at Castle Hill Inn – Newport Matt Koons and Amanda Gehlmeuel of Castle Hill In with AAA’s Diana Imondi. 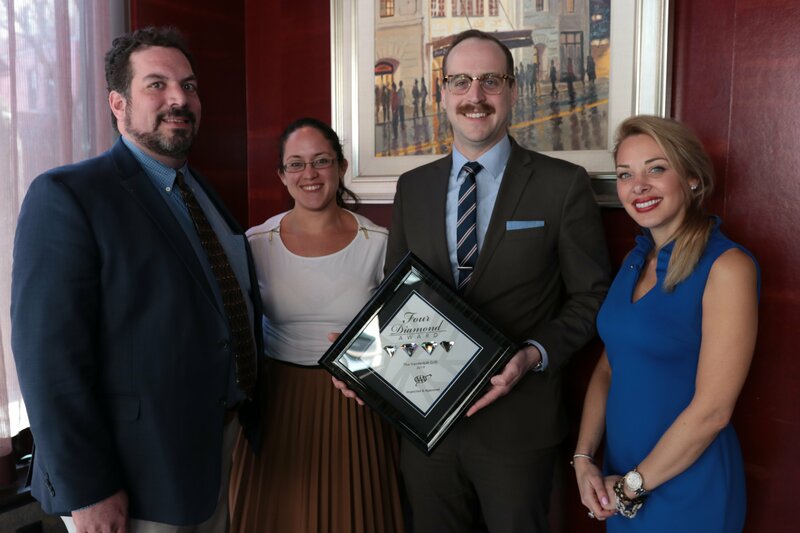 Rhode Island’s Four Diamond restaurant recipients are Cara at the Chanler Hotel, the Dining Room at Castle Hill Inn and the Vanderbilt Grill, all in Newport, while Gracie’s in Providence has sustained the Four Diamond award since 2011. Again, COAST at the Ocean House was the only Rhode Island restaurant to take home the Five Diamond Award. Rhode Island’s twelve Four Diamond hotel recipients are the Point Pleasant Inn and Resort in Bristol, the Cliffside Inn, Forty 1 North, Grace Vanderbilt, Gurney’s Newport Resort and Marina, Hydrangea House Inn, Newport Marriott and the Chanler at Cliff Walk (all in Newport), the Hotel Providence and Renaissance Providence Downtown Hotel, both in Providence, and the Watch Hill Inn and the Weekapaug Inn in Westerly. Again, the Ocean House has been a Five Diamond Award winner since 2011. Peter Kielec, Christina Mercado and Alex Pendergrass from the Vanderbilt Grille with AAA’s Diana Imondi.